We are getting so close to SPRING I can taste it! The warmer it gets outside, the more events that pop up around us. A few of my favorites for this coming weekend are Hobnob Market where I can always find something to add to the farmhouse style of my home. 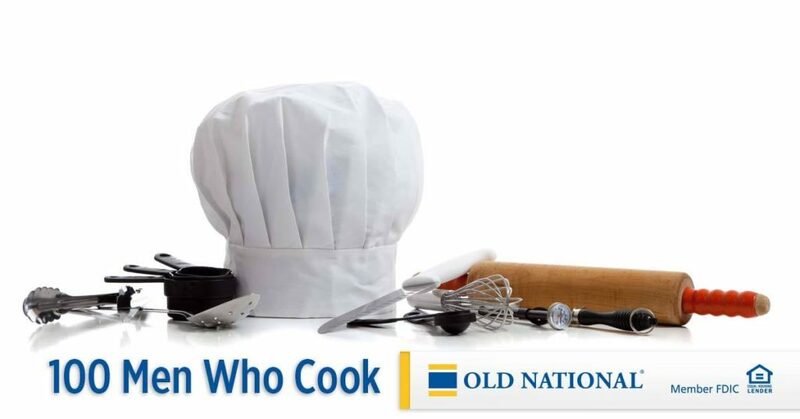 100 Men Who Cook is an amazing fundraiser where you get a sampling of food items prepared by 100+ men in the community and all proceeds benefit The Children’s Museum. 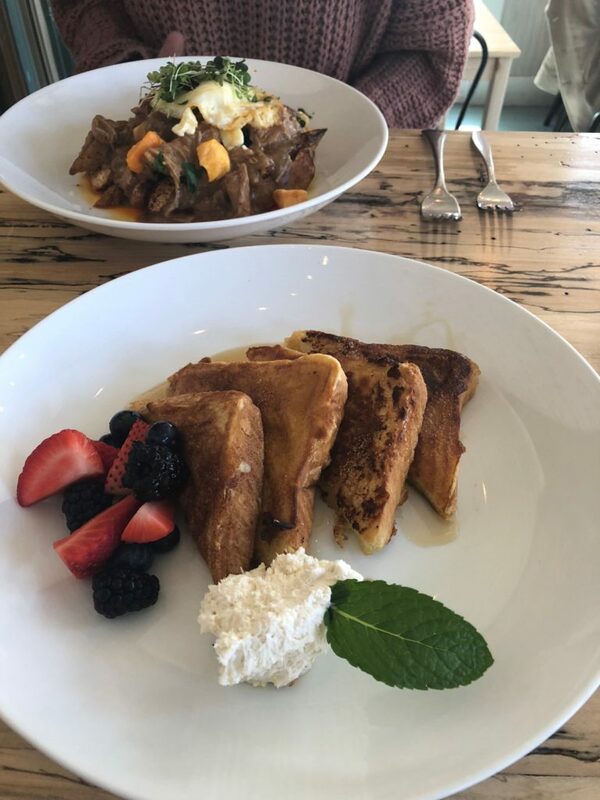 BRUNCH: enjoy your Sunday’s at The Copper Bar or The Farmhouse Pop-Up and fill up on booze and pancakes, you won’t leave disappointed (stay tuned for an inside look at Copper’s brunch tomorrow). 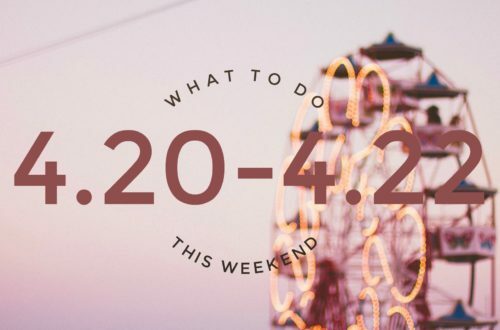 Check out the plethora of events below going on in the Terre Haute & Indy area and plan your weekend ahead! 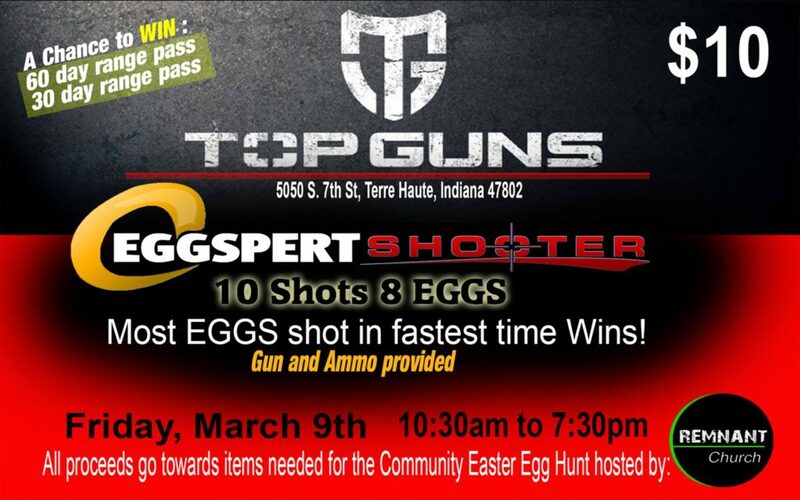 Top Guns with Remnant Church will be hosting a fundraiser on March 9th from 10:30am-7:30pm at the Top Guns Facility. The Eggspert Shooter Fundraiser will cost $10 per person with 10 shots at 8 eggs. The person who shoots the most eggs in the least amount of time is declared the winner. 1st place receives a 60 day free range pass, 2nd place receives a 30 day free range pass. Top gun will be providing the only gun used for the fundraiser & ammo will be provided as well. All proceeds will go towards the Remnant Community Wide Easter Egg Hunt for Kids. Shake off your Winter blues and head on over to Springfield, Illinois this weekend for a happy market inside of a gorgeous early 1900s Expo Building at the Fair Grounds. At this Hobnob Hoopla Market event shop over 100 vintage & handmade vendors, all handpicked for their amazing goods. You’ll also find boutique clothing, early spring items, plenty of delicious food for purchase, & cash bars! Tickets for Friday are $10 per person in advance or $15 per person at the door. Join them Friday for their early bird shopping event from 4-9pm Central time & Saturday from 9am-4pm. Saturday tickets are $5 at the door & kids 12 and under are free both nights! Purchase your tickets HERE & to check out their vendor list. 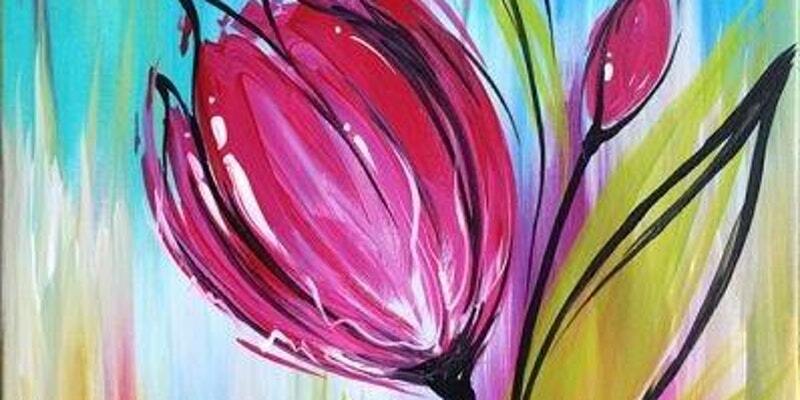 Join Modern Charm’s Charm School this Friday evening for a Spring Tulip Canvas & Wine Class. The class is BYOW & tickets can be purchased online HERE. The class is $35 and runs from 6-8pm. This Friday evening marks the first Adult Pottery Beginning Wheel Classes at Deming Park. From 6-9pm you will learn how to throw on the pottery wheel. In this class you will make 3 mugs with handles. The class will also include one day to glaze. To register call 812-232-0147. 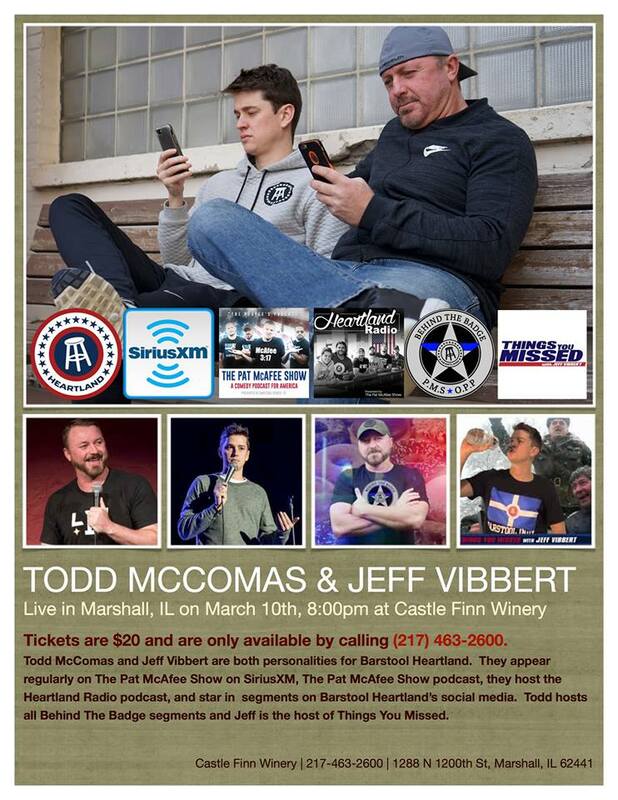 Head on down to Castle Finn Vineyard & Winery this Friday evening for a chance to see comedy duo Todd McComas & Jeff Vibbert. If you’re a follower of Barstool Heartland or the Pat McAfee Show than you are familiar with these guys. You must be 18 years old to attend. The event starts at 8pm and tickets can be purchased HERE. Spongebob VS Patrick, who will win? 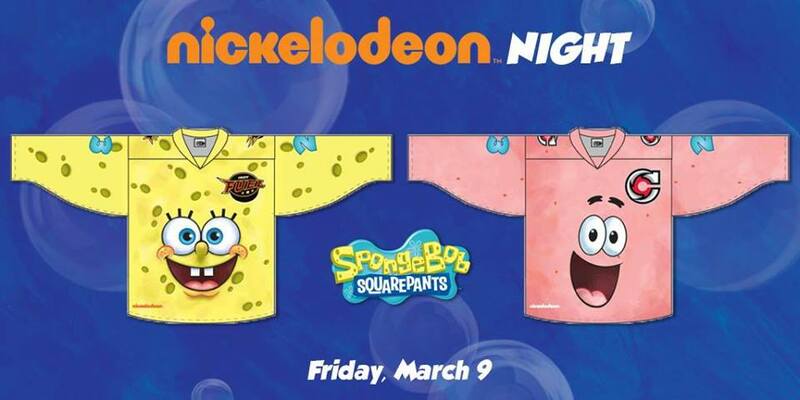 Our favorite pals from Bikini Bottom will be in attendance at the Indy Fuel hockey game this Friday night for Nickelodeon Night. The Fuel & Cyclones will both be wearing specialty jerseys during the game, and you will have the chance to bid on your favorites! The game begins at 7:30pm, get your tickets NOW. 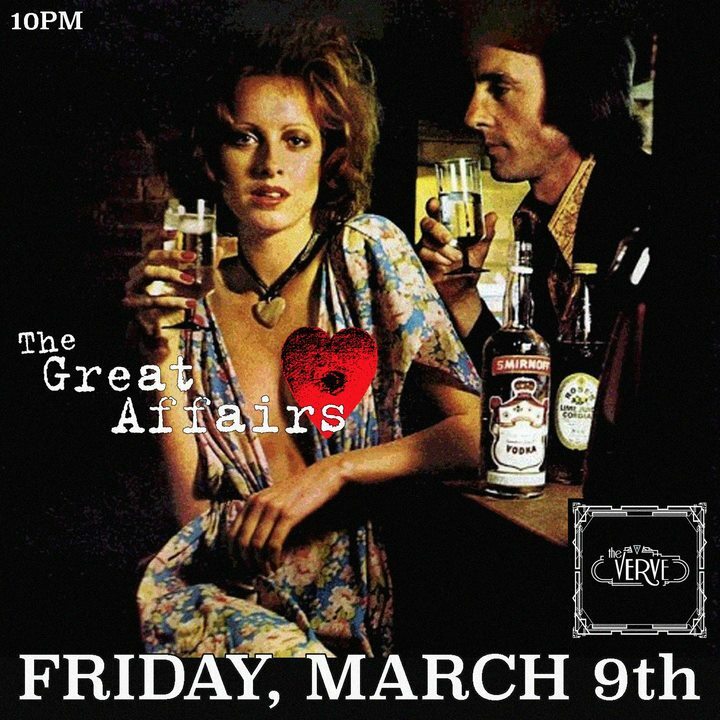 This Friday night at 10pm is the first time The Great Affairs will be playing a show in Terre Haute. 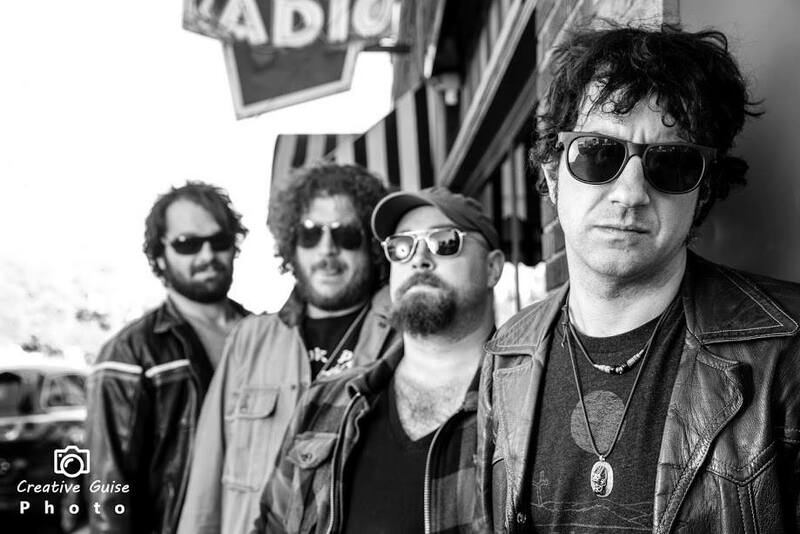 The band recently signed to NY-based Kivel Records for the release of their new LP, due out in April. The band is compared to Cheap Trick & Tom Petty, their forthcoming collection openly embraces their various influences to create a sounds that is both comfortably familiar and refreshingly it’s own. Check them out online HERE or at The Verve this Friday. Spark Joy Music in Indianapolis is offering FREE events this winter in a new series called Discover Showcase. These events will allow you to attend a show at no charge, and hopefully introduce you to your new favorite artists. 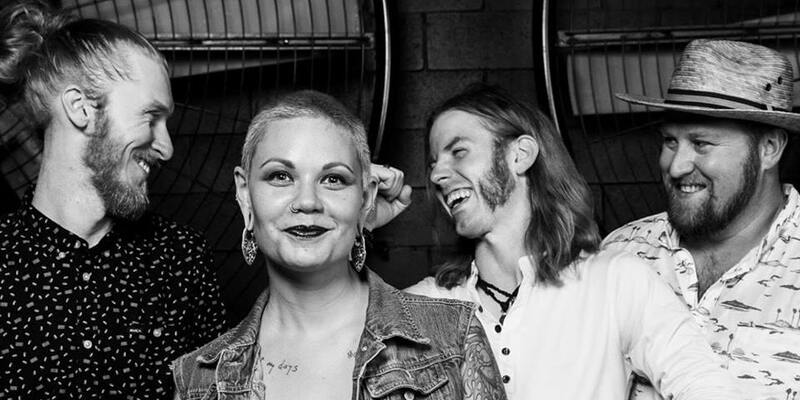 Join Fountain Square Brewery for a night of great music with The Hollywood Kills, The Hawkeyes, and The Abandoned. Have a few pints, buy some merchandise from the artists, and most importantly discover some new music! The showcase starts at 8:15pm. Get your white pants on & head down to The Hot Room in downtown Indy for Glowga. 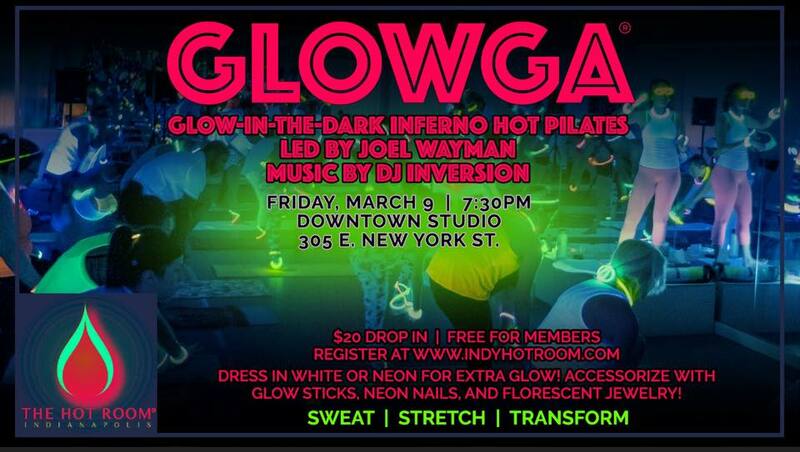 You heard that right, GLOW-IN-THE-DARK inferno hot pilates led by Joel Wayman with music by DJ Inversion! Class is at 7:30pm downtown, free for members, $20 to drop in. Don’t forget to accessorize with glow sticks & all things neon! 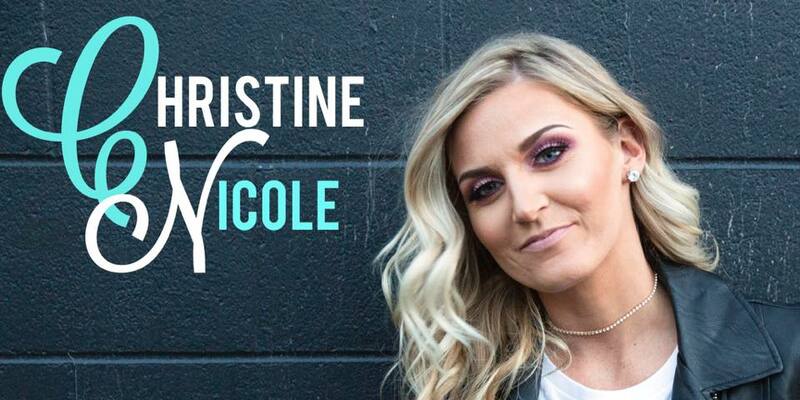 Indianapolis friends, don’t miss Christine Nicole at The Rathskeller this Friday at 6pm. $5 cover. Join 9 local boutiques for a Lucky Local Shop Walk on Saturday. Visit a long list of local boutiques this weekend in Terre Haute. 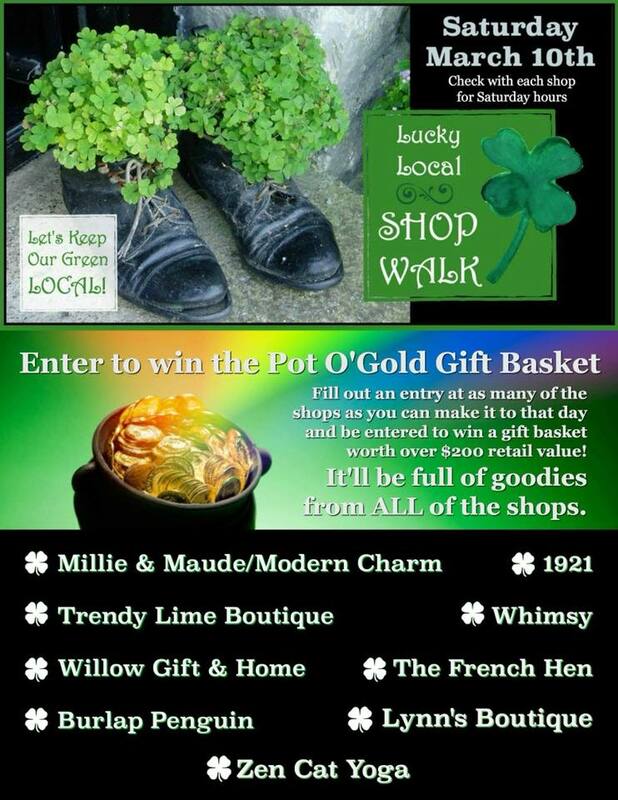 Enter your name at each shop you visit for a chance to wine a pot o’ gold gift basket valued at $200. Octane takes the stage at Al’s Sports Bar this Saturday evening at 10pm. Fountain Square Brewery has canned a rocking citrus ale respectfully named after local Indiana rock band, Veseria. Join them for a special release party of VeserieAle in cans, and a rock show to celebrate the achievement! Veseria will headline with special performances by Eliot Bigger and The Outside Voices. Advance tickets are $7, $10 at the door. Showtime is at 8pm. Everyone could use a little practice! Join Circle City Athletics Saturday for the 4th Annual St. Practice Day Pub Crawl! Pub crawl participants are split into 5 groups, as they are led around Broad Ripple together crawling from bar to bar. 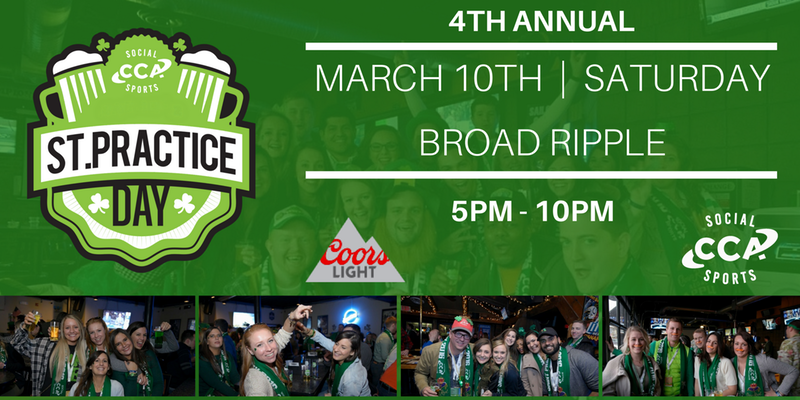 All tickets include entry into participating bars, 2 free Coors Light tickets, 1/2 liter souvenir mug, scarf, & drink specials. A portion of the proceeds from tickets benefit Alzheimer’s Association, Happy Hollow Children’s Camp, JCI Indy, & AGAVE. Tickets are $17.20 currently, sign up for your team HERE. Wine Down at The Sycamore Winery with live music by Ross David from 6-8pm. There will be brick oven pizzas from 4-8pm and the winery will be open 12-8pm. 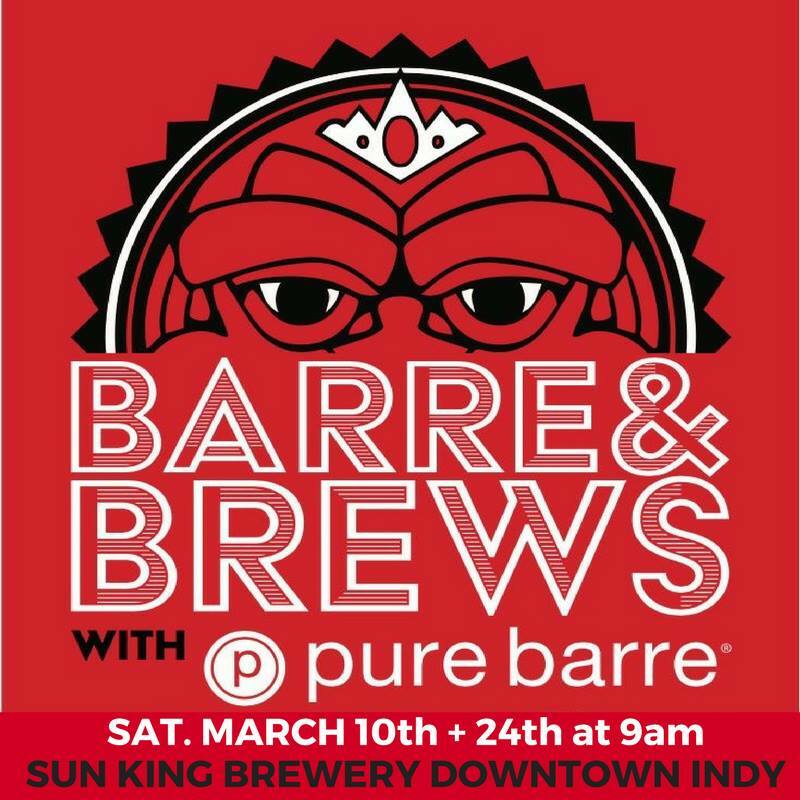 Join Sun King Brewery for Pure Barre! Tickets are $10, proceeds benefit Riley Hospital for Children. Your ticket includes a 45 minute Pure Barre class inside the brewery. Bring a mat and wear comfortable athletic attire. Doors open at 9am, class begins at 9:30. Help support 100 notable Terre Haute men, including my brother this weekend at 100 Men Who Cook. These men all choose their favorite dish and get to work creating it & serving their dish at the fundraiser. This years theme is 80s so they will all be rocking their best outfits to entice the crowd to take a nibble of their speciality cuisine. Each cook is then able to receive tips and the highest tipped chef at the end of the night is named “Top Chef”. The event includes music, dancing, cash bar, silent auction, and tons of tasting options. All proceeds benefit the Terre Haute Children’s Museum. Get your tickets HERE, the event is Saturday from 6-9pm at ISU Hulman Center. 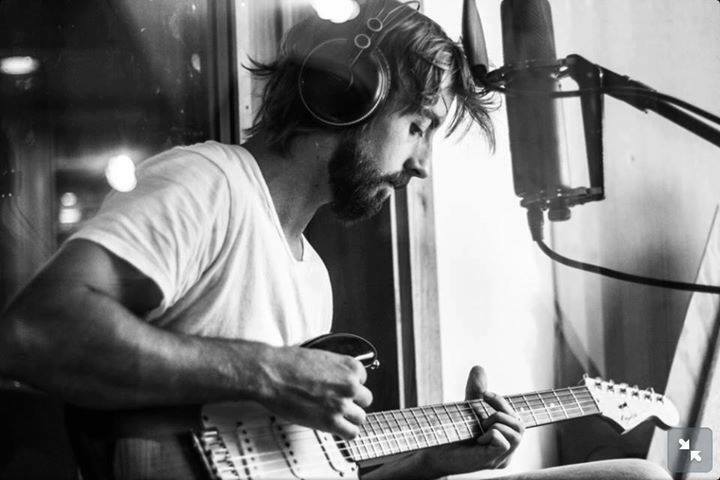 Logan Lake is a musical artist from Rockville IN, His folk, acoustic set will blow you away with his raw vocals, and original songs! 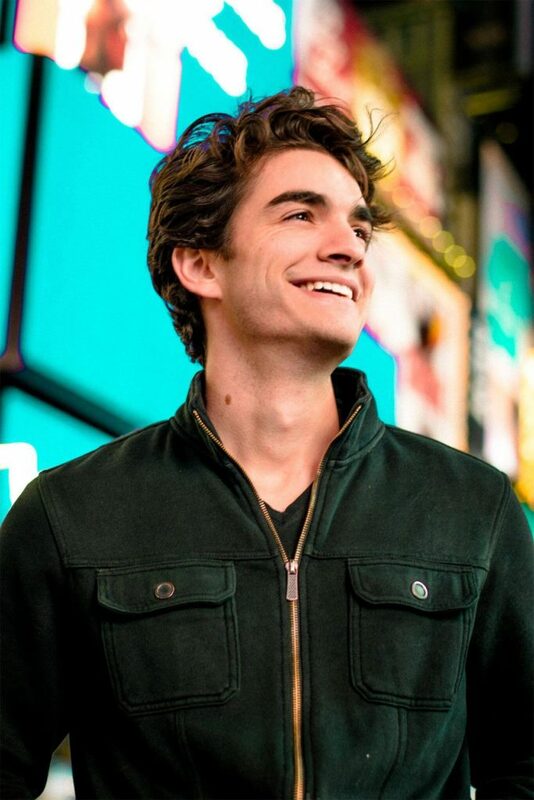 He blew us away at our singer/songwriter showcase, and is sure to impress! He will be at WaterTower Estates this Saturday from 5-8pm. This Sunday at Stephens Dive Bar is the Musicians Hall of Fame. They are holding a jam session from 5-9pm. 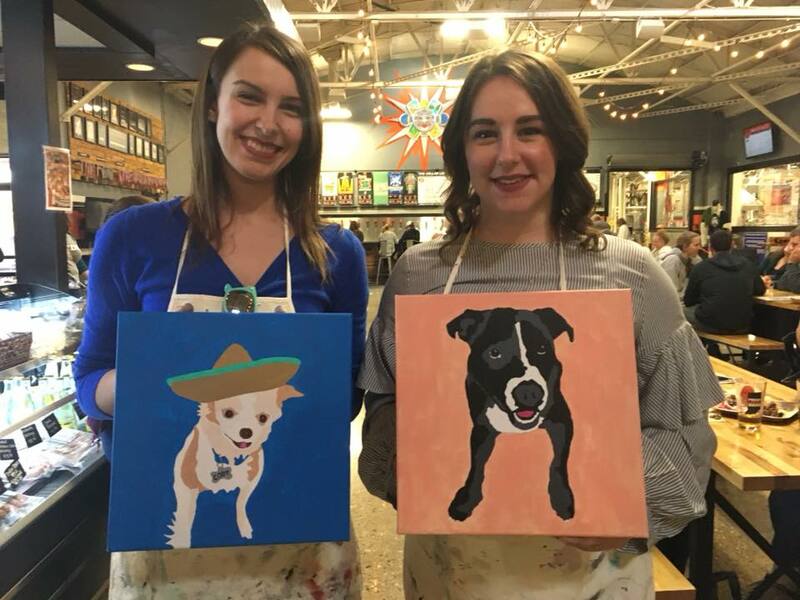 What could be better than painting a pop art portrait of your pet while enjoying delicious beer? 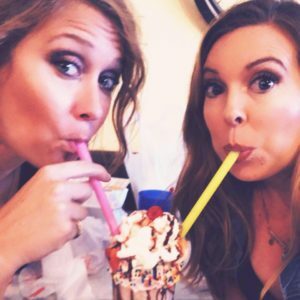 Join the fun at Sun King Brewery! After you register simply email a photo of your pet, they’ll sketch it out, and than you Paint Your Pet. 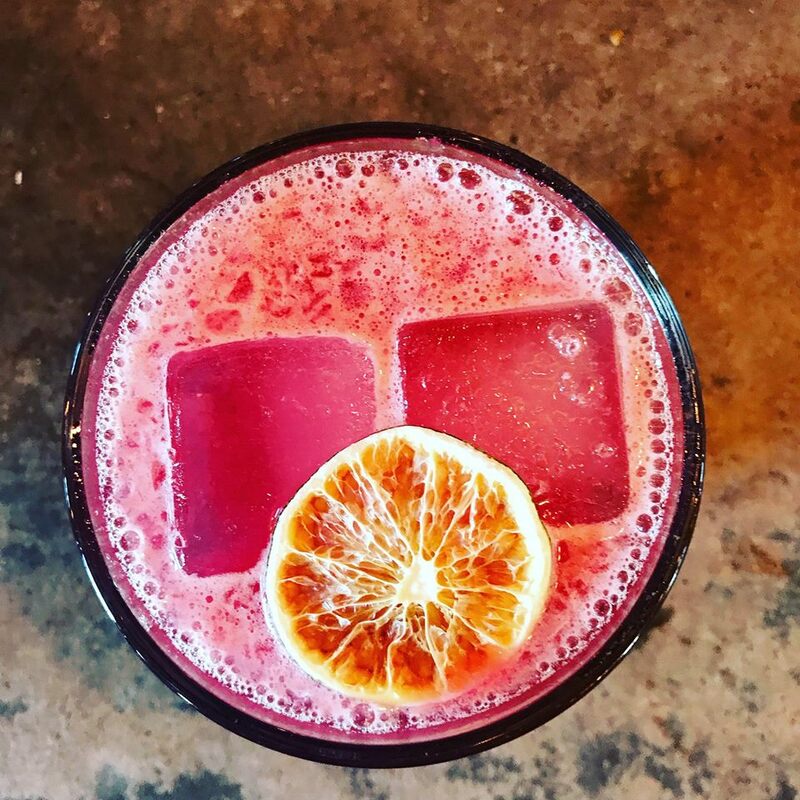 March’s Detox to Retox at Hotel Tango Distillery is the very last day of their winter menu! Don’t miss your last opportunity to enjoy some of your favorite winter cocktails. One hour of yoga (normally $17 at the studio) and a cocktail of your choice (normally $10-13) comes with your ticket! Doors open at 10:00 a.m. and yoga instruction begins at 10:30 am. 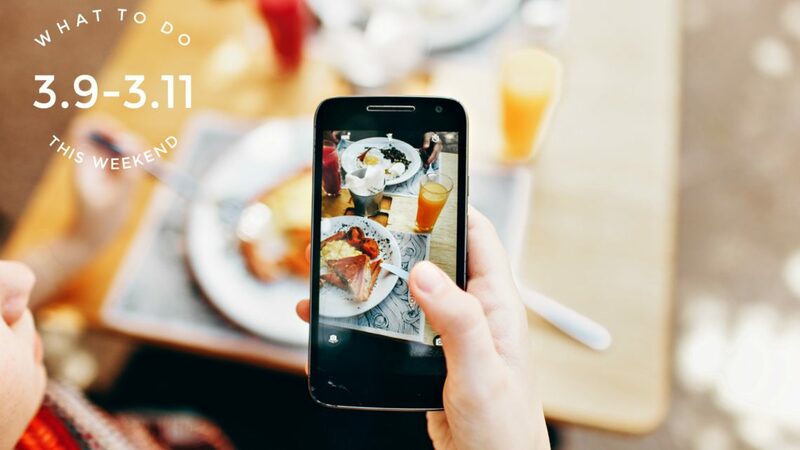 Looking for a spot to ‘Brunch’? Look no further than The Copper Bar & The Farmhouse Pop-up in Terre Haute. Both brunch services run from 10-2pm on Sundays. So stop in for a cocktail or 4 and to fill your tummy with all the brunchies you can handle! Fans of The Walking Dead unite! This is an actual thing that happens in Indy and I think we need something like this in Terre Haute! Dave & Buster’s will live stream the newest episode of season 8 with fellow viewers. Enjoy great food and drink specials, & a recording of Indy Drinking Dead, which is like Talking Dead where the group talks you through the previous episode. Show goes live at 8pm invite all your friends to this awesome live viewing party! 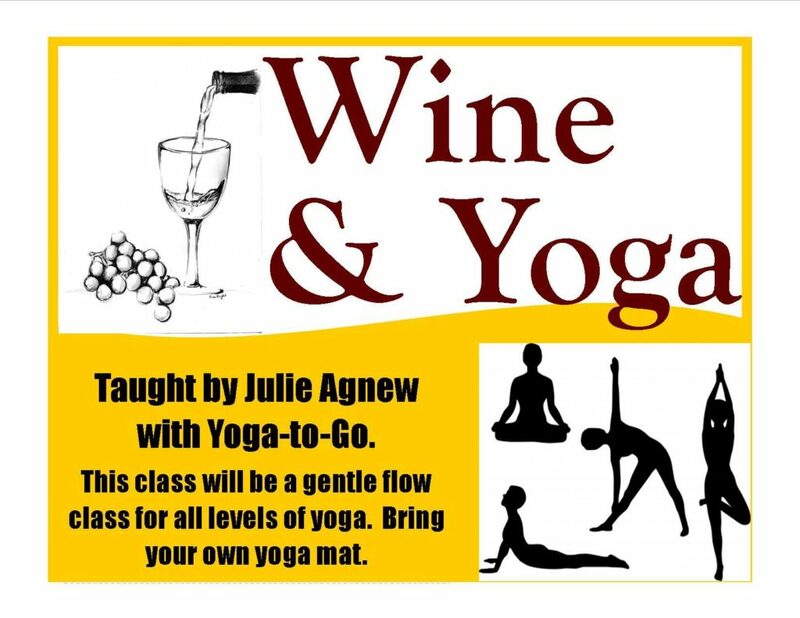 Enjoy Wine & Yoga at the Castle Finn Vineyard & Winery this Sunday at 1pm. Please bring your own yoga mat. This class is for all levels of yoga. For more information about sign ups and prices per session, check their facebook page HERE. 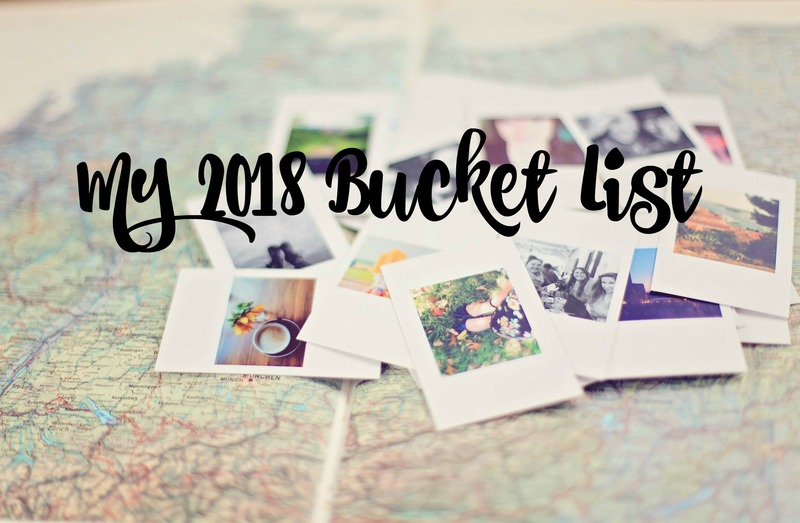 We have an email subscription link that pops up once you visit our page & in the right side of the page is a link to sign up for our email list.